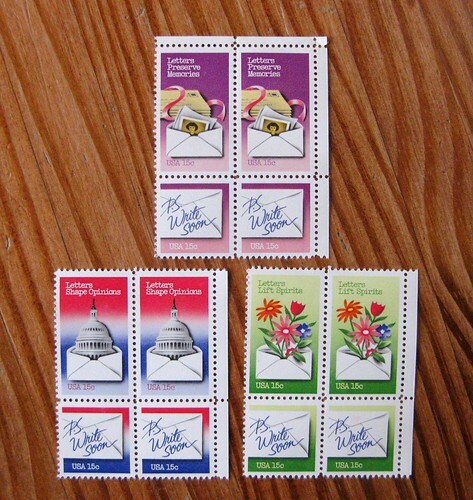 These letter-writing stamps, released in 1980, are among my all-time favorite stamps. I use them on letters sometimes, and they are always a hit with letter lovers. Since a few readers and pen pals have asked if I'd sell them in my etsy store, I figured I would give it a shot. They are the ultimate in meta-mail postage! 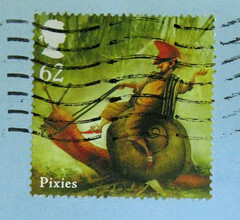 I hope to list more vintage postage in my etsy shop in the coming months. And it is a perfect time to use them right now as 3 15 cent stamps equals current first class postage! 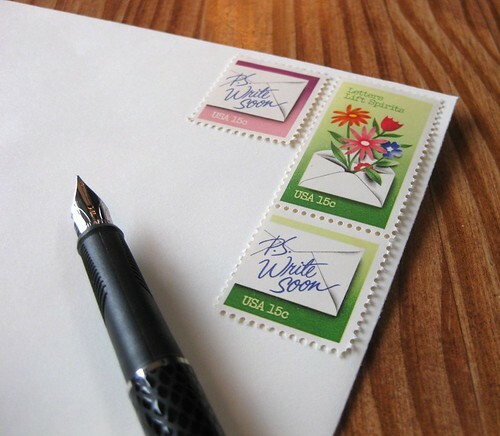 I'm using these and several other 15 cent stamp sets for all my letter mail.